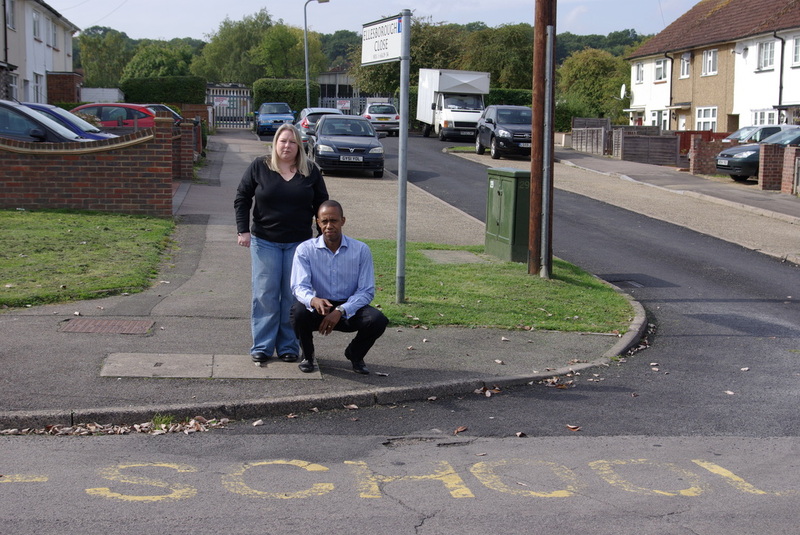 Residents on Ashridge Drive, South Oxhey have called on Hertfordshire County Council to implement traffic calming measures on their road. Residents have complained about how fast drivers travel down Ashridge Drive, which is used as short-cut to avoid a speed camera on Prestwick Road. Nicole Hyde, another Ashridge Drive resident, said “Three of my cats have been killed by drivers using Ashridge Drive. They come down here too fast. At night it’s terrible, my windows shake when some of the cars drive past. It is only a matter of time before there is a serious accident”. Cllr Paul Gordon - helping residents to petition Herts County Council.